Today at Automate 2019, Epson Robots, the #1 SCARA robot manufacturer in the world, announced the IntelliFlex™ Feeding System. 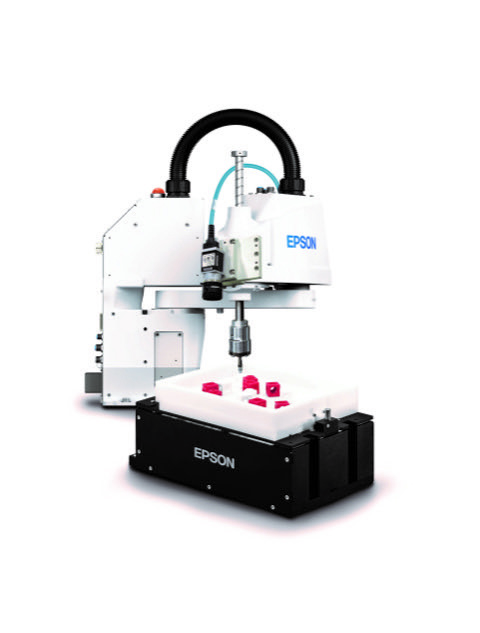 Powered by Epson Robots’ IntelliFlex Software and Vision Guide, the IntelliFlex Feeding System delivers a simplistic and affordable feeding solution to accommodate a wide variety of parts for advanced applications in medical, consumer, automotive, electronics and more. Available in June, 2019, it will be showcased at Automate 2019, McCormick Place, booth 7566 in Chicago, IL.